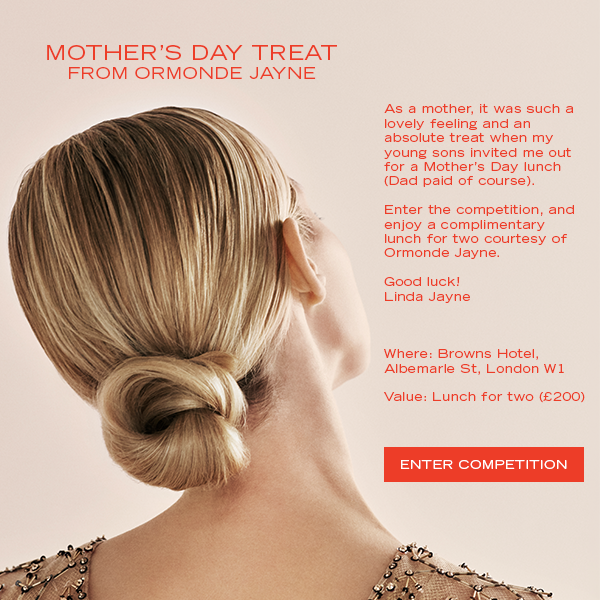 This week, in honour of National Fragrance Week, Ormonde Jayne are giving you the chance to win lunch for two in London (or locally to you) to the value of £200! You can ALSO have your favourite Ormonde Jayne perfume created into an extract, presented in a 50 ml glass decanter, personally engraved. You simply have to send them your favourite mother and child photograph… follow them on instagram @ormondejayne for more information.